It’s called Rainbow Six Siege for a reason, right? 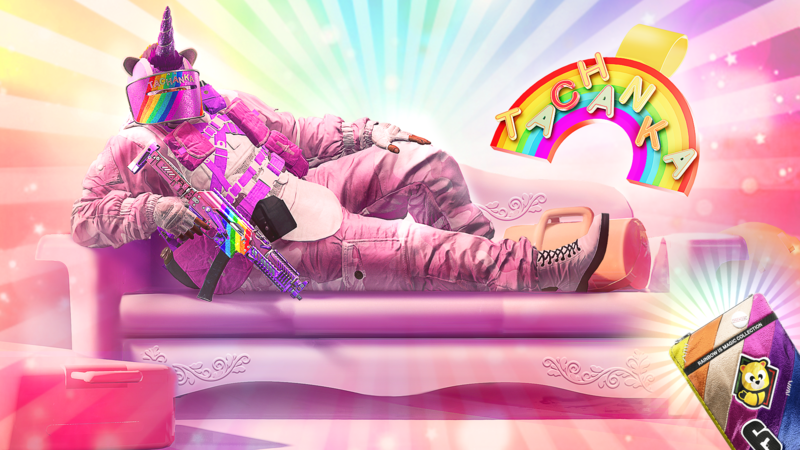 Ubisoft has released a colorful twist on the tactical shooter with the Rainbow is Magic event. In honor of April Fools’ Day, this event will run from April 1-8, 2019 and will totally transform the world of Siege. There will also be 17 new exclusive items, with no duplicate drops, that all have either rainbows, unicorns, and “tactical cuteness” to them. These Operators will be decked out in wild-looking gear, with colorful weapons, charms, and weapon skins. Here’s a trailer showing them off. If you log into Rainbow Six Siege during the event, you’ll get a free item from the Magic Collection Pack. You also have the ability to earn more as you complete Ubisoft Club Challenges. Say what you want about Ubisoft, but there’s no doubt that the company dedicated to supporting its games, even years after launch. Even if there are microtransactions in the persistently online games, balancing that with free updates like this one is definitely the way to go and keep the community engaged. Now, if only cross-play would be added. Will you be jumping into Rainbow Six Siege this week to take part in the event? It’s quite funny, compared to the overall serious tone the game normally has. Let us know!